I have been away from my blog more than I have been at it lately and that comes of all of the outside yard work, end of school craziness at work, and just plain falling off of my schedule. I’m going to have to put sticky notes up everywhere to get myself back on track. Let’s hope that it works. Last weekend a good friend and I took up the challenge of the 2012 I-91 Shop Hop. This is the event’s second year and I’m very sorry that I missed it’s first year. In short we had a blast. This event is comprised of 11 yarn shops ranging from Putney, Vermont to Branford, CT and it ran Friday, June 29th through Sunday, July 1st. All of the shops coordinated their hours for all 3 days so that it would be easier for all of the slightly askew people who chose to do the entire run. We were two of them. 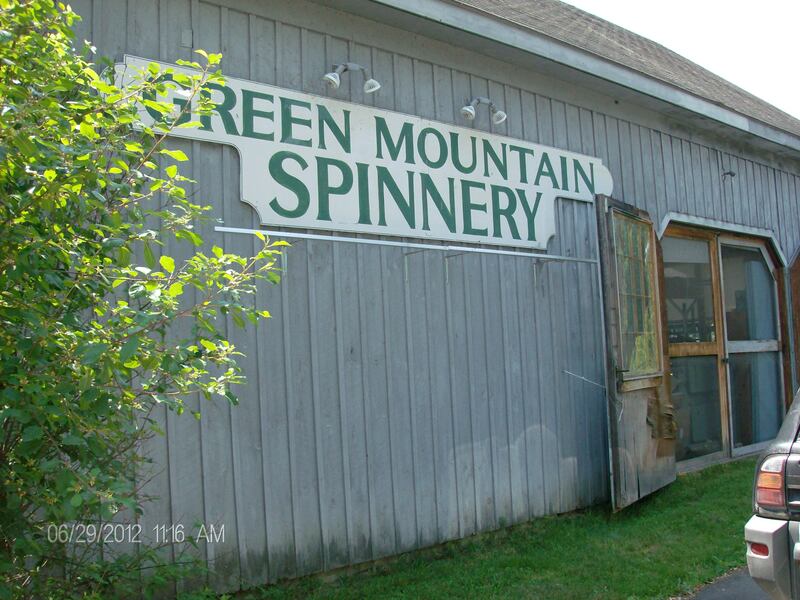 The Green Mountain Spinnery in Putney, Vt was our first stop on Friday morning. It’s about a 2 hour trip from our homes in northwest CT and it was sunny, warm, and humid when we started out. The shaded driveway and parking lot were very welcoming after our jaunt up I-91 and the inside was even more of a treat. We were given a tour of the spinning process which was a lot of fun for me with my home spinning system. The gentleman who gave us the tour was knowledgable and delightful. I believe a good time was had by all. I bought some lovely buttons made of horn, wood, and nutshells and a Wild Fiber magazine. 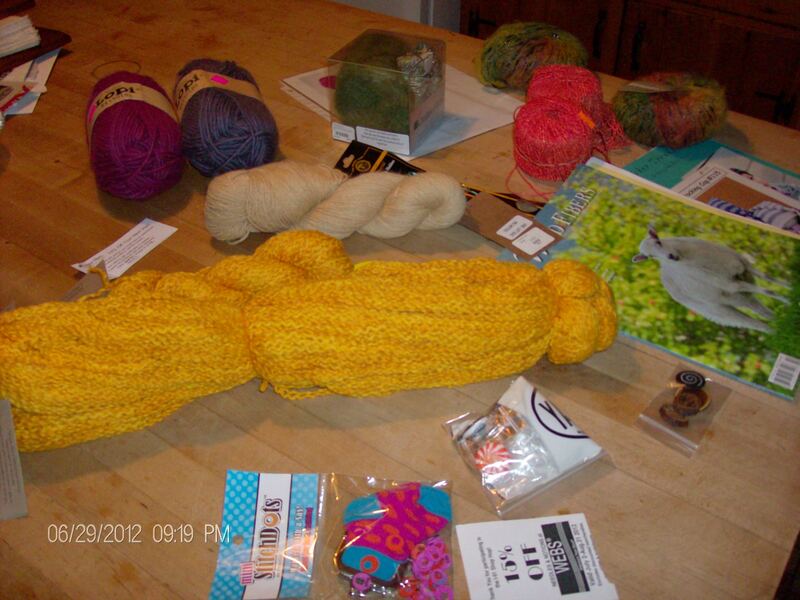 I could have gone absolutely crazy with their yarns, but I was on a budget and still had 10 shops to go. Plus I am trying to buy yarn with a specific project in mind, not just an “ooohhh, cool yarn” purchase. I have several of those looking for a pattern. 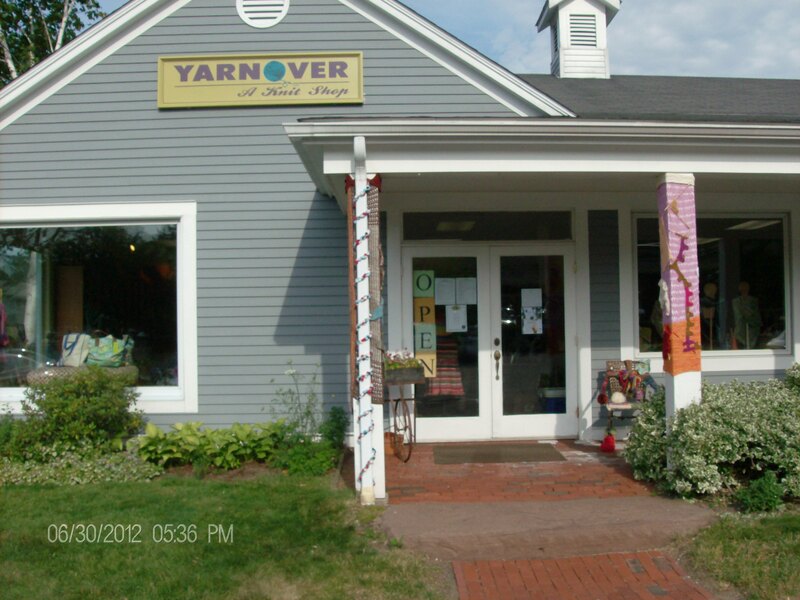 We finished up in Avon, CT at Yarnover Avon on Saturday evening where I purchased a wonderful book on wraps and a couple of older Interweave knitting magazines. The yarn bombing out front was delightful and made a pair of weary fiber travelers smile when we reached it. The people in the shop were helpful and charming. We will certainly be going back there again before next year’s Shop Hop. This is my haul from the first day and I will post more of this wonderful trip on my next blog. Have you ever done anything like this?